Patrick now exclusively represents people who have been harmed as a result of the negligence of others. Many of his client's lives have been forever altered by serious injuries. Whether the injury is a result of a car wreck, an unsafe condition on a piece of property, abuse of power, or medical negligence, Patrick takes the time to know his clients' stories and is dedicated to helping them recover for their injuries. 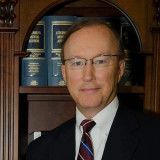 He is licensed to practice law in Georgia, Texas, and Alabama. Most of his cases involve serious and catastrophic injuries as a result of an automobile accident. He also represents victims of medical malpractice, those who have been injured as the result of an unsafe condition on someone else's property, and from unsafe or malfunctioning products. After obtaining his Juris Doctor degree, Mr. Jarrett worked as an associate attorney at Lucio, LaFleur & Associates in Dallas, Texas. 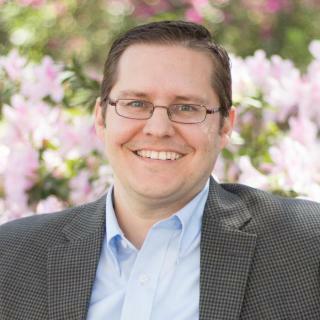 A Georgia native, Patrick moved back to Savannah in 2010 and founded The Jarrett Firm, LLC. 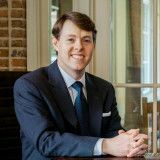 Patrick has quickly established himself as a top local attorney, having handled hundreds of cases within the superior courts, state courts, municipal courts, and the recorder's court of Chatham, Liberty, Bryan, and Bulloch counties. 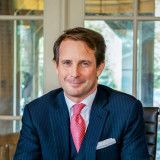 In 2013, Patrick joined forces with Ben Price to establish Jarrett & Price, a firm dedicated to representing individuals. 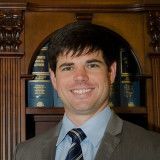 Patrick now handles injury cases in courts throughout the State of Georgia. We meet with all potential personal injury cases free of charge. All personal injury cases are accepted without any upfront costs to clients. The attorney fees are contingent upon obtaining a recovery for our clients. Jarrett & Price is a full service law firm located in Savannah, Georgia representing clients in the following areas: -Family Law & Divorce -DUI & Criminal Defense -Immigration & Citizenship -Auto Accidents & Personal Injury -Healthcare Reimbursement & Medical Liens At Jarrett & Price, our team of experienced attorneys is dedicated to serving individuals, families, and businesses through confident, client-centered legal counsel. We serve clients in criminal, family law, and personal injury matters throughout coastal Georgia including all of Chatham, Effingham, Liberty, Bulloch, and Bryan counties. Our immigration and nationality, healthcare reimbursement, and medical lien services extend to clients nationwide. In 2013, we founded the Georgia Military Family Law Center as an online resource for military families. Our family law practice is specifically tailored to meet the needs of Georgia’s military families, from our flexible payment options, to our office location less than a mile from Hunter Army Airfield in Chatham County and only a short drive from the Hinesville-Fort Stewart area of Liberty County. Law firm offering client centered legal representation in the areas of Immigration, Family Law, Criminal Defense, and Mediation Services. We practice in all areas of Immigration law including assisting clients in acquiring green cards and visas. We also provide deportation defense and can represent clients in any immigration court in the United States. We practice in all areas of family law including divorce, child custody disputes, child support and custody modifications, legitimation suits, and adoptions. We represent clients in all areas of criminal defense, but mainly focus on misdemeanors. Our principal attorney is certified by the Georgia Office of Dispute Resolution to accept court appointments as a general mediator. This experience helps us to represent clients in mediation. Law firm focused on Immigration Law, Criminal Defense, and Family Law. Q. Can I bond someone out of jail on a murder charge? A: Bond has to be granted by the judge. Whether a judge will issue a bond in a murder case is going to be dependent on specific facts related to the case. You can expect a very high bond if one is granted.